I'm currently a Principal Scientist at Amazon in Seattle, WA, with interests spanning large-scale machine learning, probability & statistics, distributed systems, real-time control and optimization theory. Previously, I co-founded two start-ups and I was a Post-doctoral Researcher in the eScience group at Microsoft Research. I obtained my doctoral degree in 2009 with the Machine Learning group at the University of Toronto. In 2006, 2008 and 2009, I was a research intern in the Machine Learning & Perception and eScience groups at Microsoft Research in Cambridge, UK and Redmond, WA. My doctoral thesis presents a class of graphical models for joint cumulative distribution functions, called cumulative distribution networks (CDNs), with properties distinct from those of standard graphical modelling frameworks. I have also developed several message-passing algorithms for inference and learning in such graphical models. For more info, take a look below at my papers or at research projects I've worked on. J.C. Huang, R. Jenatton and C. Archambeau (2016). Online dual decomposition for performance and delivery-based distributed ad allocation. Proceedings of the 22nd ACM SIGKDD International Conference on Knowledge Discovery and Data Mining (KDD). R. Jenatton, J.C. Huang, D. Csiba and C. Archambeau (2016). Online optimization and regret guarantees for non-additive long-term constraints. R. Jenatton, J.C. Huang and C. Archambeau (2016). Adaptive algorithms for online convex optimization with long-term constraints. J.C. Huang, C. Meek, C. Kadie and D. Heckerman (2011). Conditional random fields for fast, large-scale genome-wide association studies. J.C. Huang and N. Jojic (2011). Variable selection by correlation sifting. Lecture Notes in Bioinformatics, Springer-Verlag 6577: 106-123. Fifteenth Annual International Conference on Research in Computational Molecular Biology (RECOMB). J.C. Huang and B. J. Frey (2011). Cumulative distribution networks and the derivative-sum-product algorithm: Models and inference for cumulative distribution functions on graphs. Journal of Machine Learning Research (JMLR) 12 : 301-348. J.C. Huang, N. Jojic and C. Meek (2010). Exact inference and learning for cumulative distribution functions on loopy graphs. T. Hertz, D. Nolan, I. James, M. John, S. Gaudieri, E. Phillips, J.C. Huang, G. Riadi, S. Mallal and N. Jojic (2010). Mapping the landscape of host-pathogen co-evolution: HLA class I-peptide interactions correlate with conservation in human and viral proteins. J.C. Huang and N. Jojic (2010). Modelling Major Histocompatibility Complex binding by nonparametric averaging of multiple predictors and sequence encodings. J.C. Huang and N. Jojic (2010). Maximum-likelihood learning of cumulative distribution functions on graphs. Thirteenth International Conference on Artificial Intelligence and Statistics (AISTATS). J.C. Huang and B.J. Frey (2009). Cumulative distribution networks: Graphical models for cumulative distribution functions. The Learning Workshop (LEARNING 2009). N. Jojic, T. Hertz and J.C. Huang (2009). HLA viral targeting. UCSD Information Theory and Applications Workshop (ITA). J.C. Huang and B.J. Frey (2009). STORMSeq: A method for ranking regulatory sequences by integrating experimental datasets with diverse computational predictions. Handbook of Computational Statistics: Statistical Bioinformatics, Springer, eds. Henry Lu, Bernhard Scholkopf and Hongyu Zhao. J.C. Huang and B.J. Frey (2009). Structured ranking learning using cumulative distribution networks. J.C. Huang and B.J. Frey (2008). Cumulative distribution networks and the derivative-sum-product algorithm. Twenty-Fourth Conference on Uncertainty in Artificial Intelligence (UAI), AUAI Press: 290-297. J.C. Huang, B.J. Frey and Q.D. Morris (2008). Comparing sequence and expression for predicting microRNA targets using GenMiR3. Pacific Symposium for Biocomputing (PSB) 13: 52-63. J.C. Huang*, T. Babak*, T.W. Corson, G. Chua, S. Khan, B.L. Gallie, T.R. Hughes, B.J. Blencowe, B.J. Frey and Q.D. Morris (2007). Using expression profiling data to identify human microRNA targets. J.C. Huang, A. Kannan and J. Winn (2007). Bayesian association of haplotypes and non-genetic factors to regulatory and phenotypic variation in human populations. J.C. Huang, Q.D. Morris and B.J. Frey (2007). Bayesian inference of microRNA targets from sequence and expression data. Journal of Computational Biology 14: 550-563. J.C. Huang, Q.D. Morris and B.J. Frey (2006). 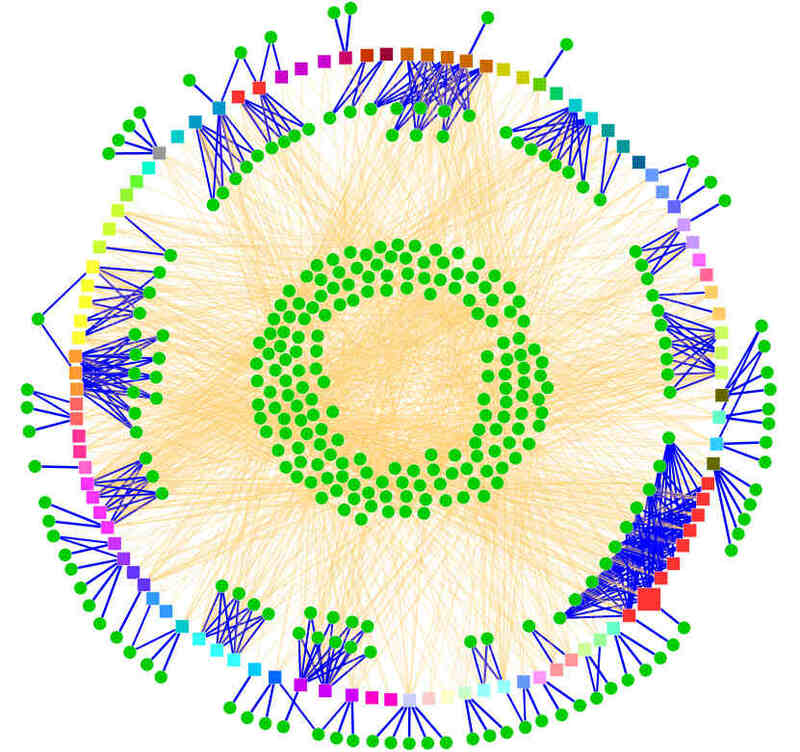 Computational discovery of microRNA regulatory networks in retinoblastoma from sequence and expression data. Sixth Cold Spring Harbor Laboratory/Wellcome Trust (CSHL/WT) Conference on Genome Informatics. J.C. Huang, Q.D. Morris and B.J. Frey (2006). Detecting microRNA targets by linking sequence, microRNA and gene expression data. Lecture Notes in Computer Science, Springer-Verlag 3909: 114-129. Tenth Annual International Conference on Research in Computational Molecular Biology (RECOMB). J.C. Huang, Q.D. Morris, T.R. Hughes and B.J. Frey (2005). GenXHC: A probabilistic generative model for cross-hybridization compensation in high-density, genome-wide microarray data. Thirteenth Annual International Conference on Intelligent Systems for Molecular Biology (ISMB). D. Dueck*, J.C. Huang*, Q.D. Morris and B.J. Frey (2004). Iterative analysis of microarray data. 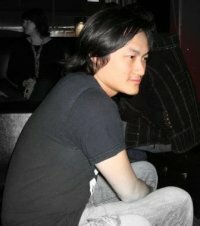 J.C. Huang (2009). Cumulative distribution networks: Inference, estimation and applications of graphical models for cumulative distribution functions. Department of Electrical and Computer Engineering, University of Toronto.